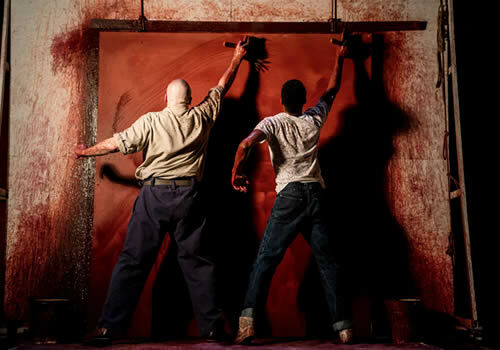 Following the incredible success of Labour of Love at the Noel Coward Theatre, the Michael Grandage Company return sto the West End to present a highly anticipated revival of John Logan’s acclaimed play Red. Playing a strictly limited season at London’s Wyndham’s Theatre, the production marks the first return of the play since its original premiere at the Donmar Warehouse in 2009. Directed by Michael Grandage, who returns to lead the revival, Red earned wide acclaim from audiences and critics alike, going on to be nominated for multiple Olivier Awards, before transferring to Broadway and swiping an impressive six Tony Awards, including Best Play, Best Direction of a Play for Michael Grandage and Best Featured Actor in a Play for Eddie Redmayne. 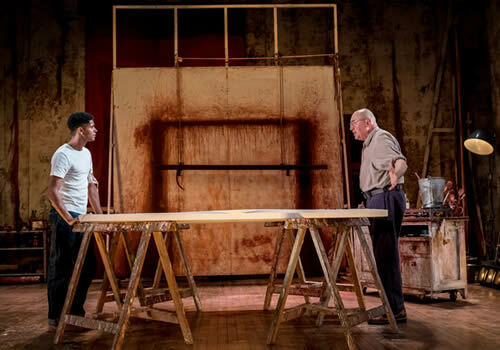 Set in the 1950’s, Red sees famous American abstract expressionist Mark Rothko take on his biggest challenge yet. Commissioned to paint several murals for the exclusive Four Seasons restaurant, he enlists the help of his assistant Ken, who proceeds to question Rothko’s theories of art. Can he produce a commercial piece for an extraordinary setting? 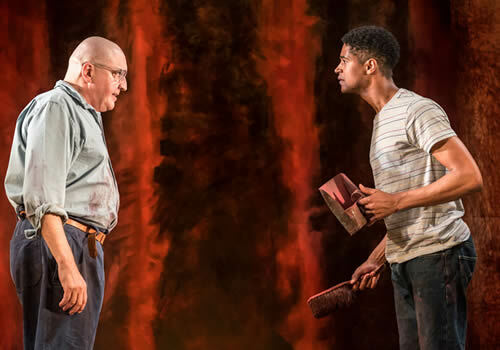 Alfred Molina returns to his critically acclaimed performance as Mark Rothko, with Broadway credits including Art and Fiddler on the Roof, and screen credits including feature films such as The Da Vinci Code, Raiders of the Lost Arts and Spider-Man 2. 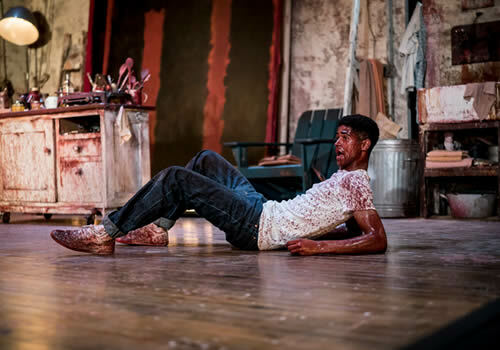 He is joined by well-known television star Alfred Enoch, who is best-known for his roles in How to Get Away with Murder and the Harry Potter series. 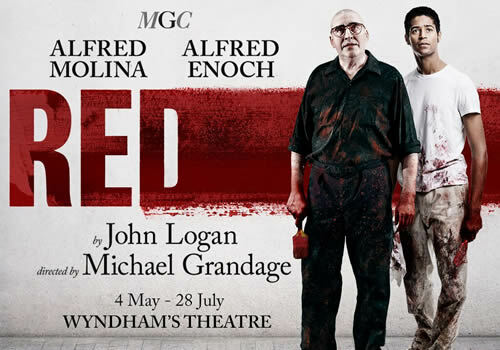 Playing a limited season at the West End’s Wyndham’s Theatre, Red sees John Logan and Michael Grandage reunite after their success with Peter and Alice in 2013, starring Judi Dench and Ben Whishaw. The production plays at the venue from May 4th to July 28th 2018, with an official opening on May 15th 2018. Red may not be suitable for young children as it contains strong language and real cigarettes are used onstage. Children under 16 must be accompanied by and sat next to an adult.